If you’ve ever looked at your desk and thought “Well, this isn’t nearly luxurious enough,” then the LaCie Sphère is here to pull you out of your non-fancy squalor. 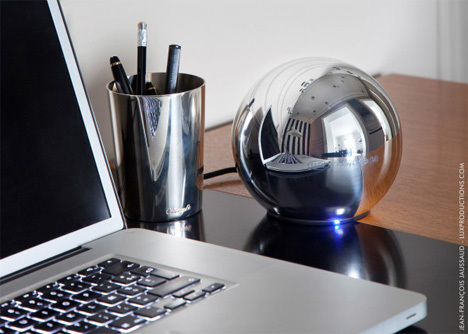 The rather beautiful spherical hard drive is handcrafted in Yainville, France and encased in super-shiny silver-plated steel case. Looking like something from outer space, the hard drive holds an impressive 1TB of information. It doesn’t even require a power cord; it connects to your computer for data transfer and powering up via a single USB 3.0 cable. 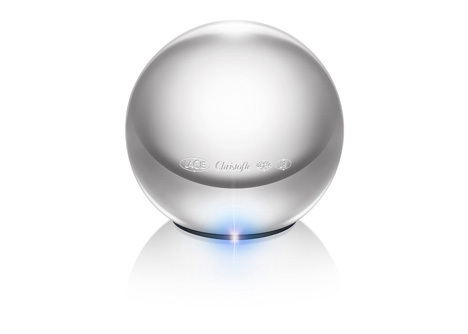 Fancy French brand Christofle designed the truly beautiful hard drive. 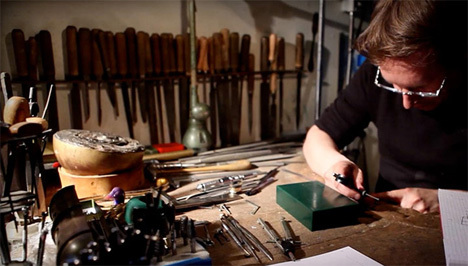 Although it looks futuristic and its insides are, in fact, quite high-tech, the polished globe is handcrafted using old-world techniques. The Sphère comes with basic software that prompts it to automatically back-up your information; it also has an eco-friendly mode that uses 90% less energy when the drive is idle. Available as of February 2014, the Sphère will run you a cool $490 (at the time of publication). See more in Computers or under Gadgets. January, 2014.